My Future My Choice Community Links Expo is on again this year, with an amazing line up of providers, services and more. 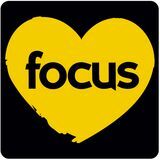 FOCUS talks with Lorraine Legge, who tells us more about it. hen and where is this year's Disability Expo? Wednesday 13th September 2017, 9:30am - 2:30pm at the Armidale Ex Services Memorial Club. For those unfamiliar with the Expo, what is it all about, and who is it targeted at? The My Future, My Choice, Community Links Expo is an annual event that has been on local Armidale residents' calendars for nearly ten years. The expo offers a place to showcase organisations that provide services to increase independence and quality of life. The expo is targeted at people with disability, friends, families and carers who are looking to talk to different service providers. People will also be able to talk to businesses that provide aids, equipment, innovative technology and services, which may not have been available to them in the past. Why is it so important that potential clients get the right information? In this changing world with NDIS, it is really important for people to know all the options that are available to them. People are now able to access services and receive supports that they have only 34 New England focus. dreamt about in the past. A big thing I always tell NDIS. The expo will be great for people to see first customers is that they can mix and match many hand what services are in the region, compared to different options. If people like a certain provider previous years. with some supports and another with other With the NDIS now rolling out, how important supports, they can easily set up their plan to achieve is an expo like this in our area? this - which is fantastic, as Hugely important; the reason it emphasises "choice and is that people are so used to control". traditional service providers, as What can people expect to many services were unavailable see on the day? to people with disability. Now People will also be able People can expect to see there are new services that to talk to businesses helpful stall holders displaying businesses can provide and that provide aids, a range of products and people can access under the equipment, innovative services. This year, due to the NDIS. technology and services, NDIS roll out, we are expecting I always say how important which may not have a larger range of different it is that people choose the been available to them service providers giving best provider for them and in the past. information around services, to remember that they are in aids and equipment. control of their plan and how People attending the expo services will be delivered to them. can also expect a BBQ and Plans for the future? drinks available. Entertainment will be provided by a Each year we intend to hold an expo to showcase number of local groups throughout the day. local and known services and to highlight new How many businesses are expected to attend? services in the region. Over the last two years we Similar to previous years, we are expecting have seen growth in the expo due to the NDIS; it around 40 - 50 businesses. A number of local will be very interesting to see who comes out of the providers will attend, along with other businesses pipeline for 2018! that have entered the region as a direct result of the Thanks Lorraine.